You don't have a billion dollars to spend on fancy schmancy marketing. But we can make it look like you do. 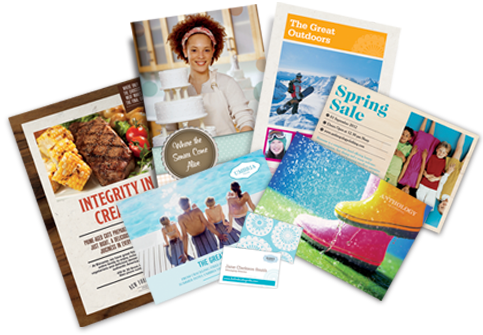 From postcards and brochures to business cards and letterhead, you can build your own marketing materials from anywhere at any time. Choose a layout you love, then add your logo and change colors to your heart's content. Write your own content or use pre-populated content that portrays your business so well you'd swear we've worked there before. Choose from more photos than your favorite family album, or add your own. Pick from tons of attention-grabbing designs -- one is sure to be just right for your business. You don't need a big marketing firm to get big results.